WE HOPE YOU WILL ENJOY THE MANY LOVE, ROMANCE, DATING & RELATIONSHIP RESOURCES AVAILABLE TO YOU HERE! The following Love & Romance resources are here to help you say "I love you" in a special and unforgettable way. 89 ways to say "I Love You!" Essential you are to me each day. Nourishing my spirit and making it soar. The Romance Resources available will help you express your love and affection to someone special in your life. 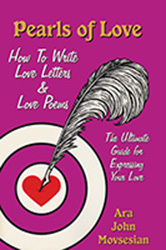 From pre-written love poems and love letters to to helpful tips and techniques on how to express your feelings through poetry and other methods of written expression, you''ll find what you need here in one place. The Wedding section contains resources to help you make your own wedding vows, and then plan your perfect wedding. From wedding software to wedding gowns, you''ll find it all here in one place.